"A little girl's first dolls!" 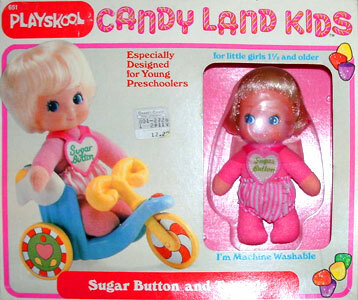 Candy Land Kids were produced by Playskool in 1982. 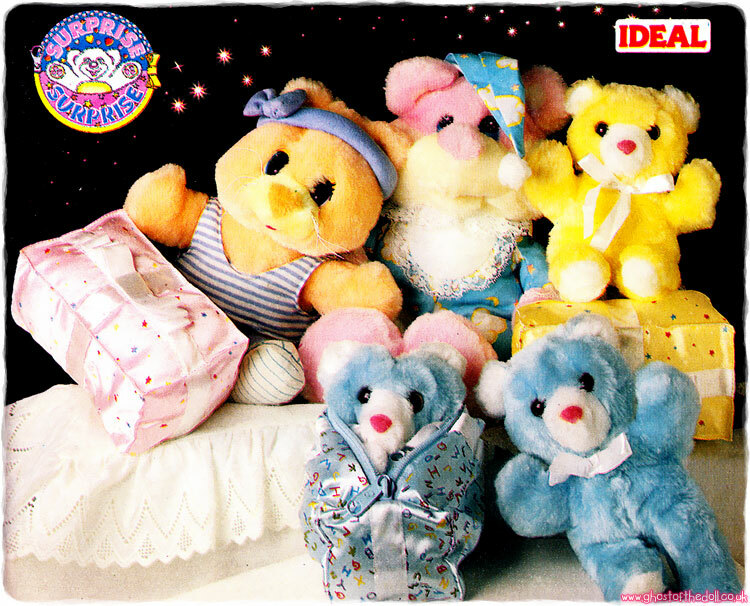 They were a small set of soft-bodied dolls and playsets designed for preschool children. Candy Land was (and still is) a very popular boardgame produced by Milton Bradley from 1949. 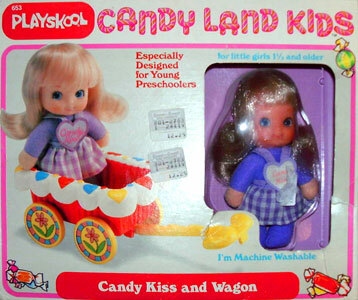 It is now produced by Hasbro (who acquired both Playskool and MB in 1984). Whilst the dolls were not an extension of the boardgame, they had virtually the same logo and were both produced for preschool children. Images on this page thanks to Kerry and eBay seller Browns Retro Fun House 1 ! View all Candy Land Kids on eBay.com or eBay.co.uk ! "The Candy Land Kids Collection, it's the stuff sweet dreams are made of. 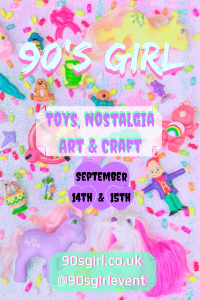 Loveable, little dolls and accessories specially designed to be safe and easy to play with for young preschoolers." 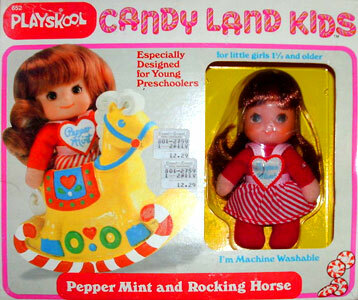 There were three dolls produced, all of which came with their own playset, and one three-piece playground playset too.